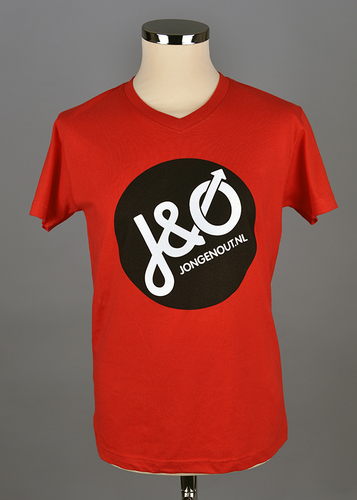 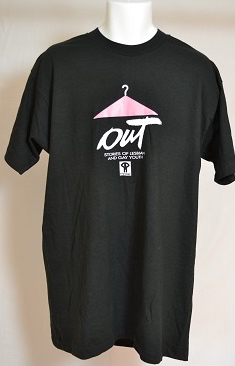 Black shirt "jong & out" meaning young & out [of the closet]. 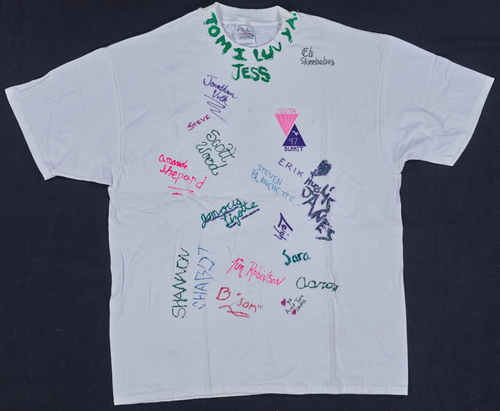 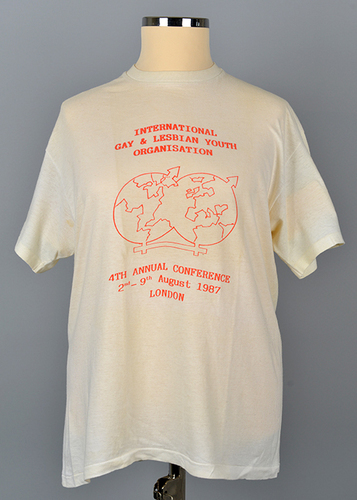 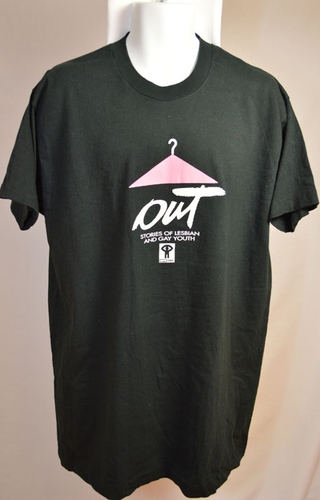 White t-shirt with text: "International Gay & Lesbian Youth Organisation 4th Annual Conference 2nd - 9th August 1987 LONDON". 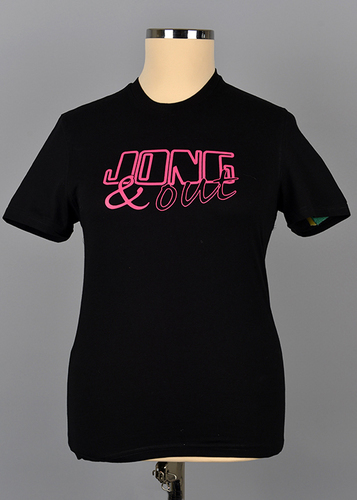 Also image of two maps of the world in two women and male signs. 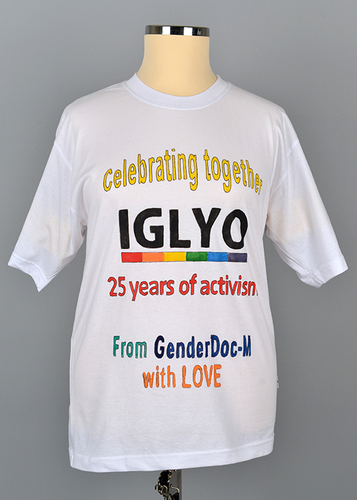 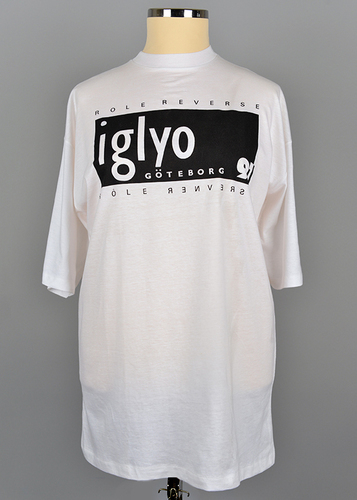 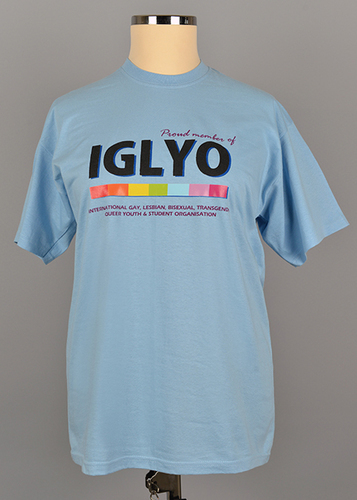 White t-shirt with text: "iglyo Göteborg 91" and "role reverse" also in mirror image. 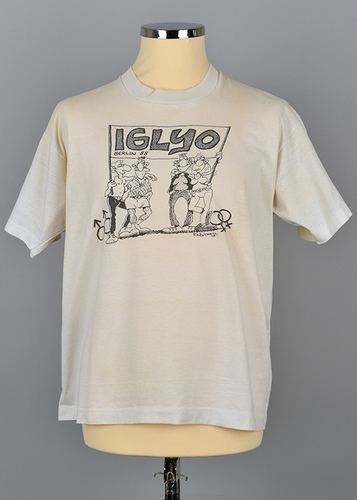 White shirt with cartoon and text: IGLYI Berlin '88. 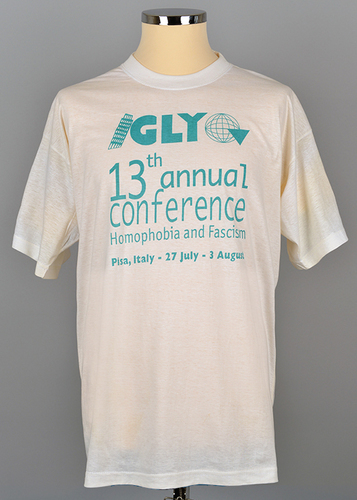 White t-shirt with text: "Iglyo 13th annual conference Homophobia and Fascisme Pisa, Italy 27 July - 3 August. 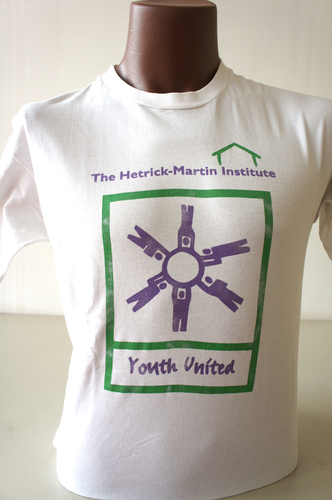 "OUT Stories of Lesbian and Gay Youth"
"The Hetrick-Martin Institute : Youth United"
Provides services which includes counseling and legal assistance to LGBT youth in New York City. 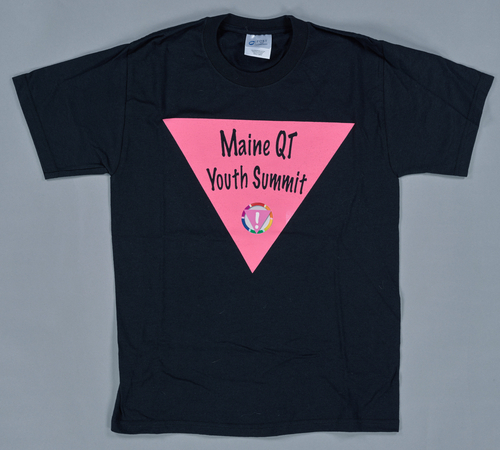 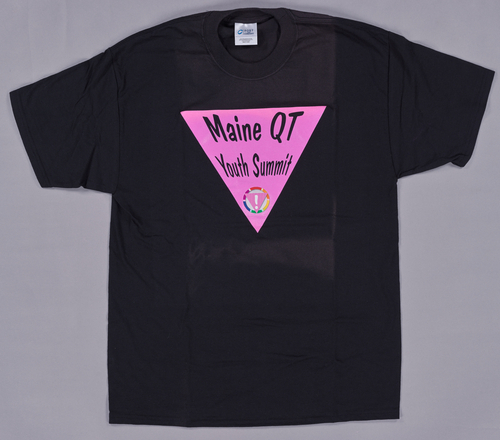 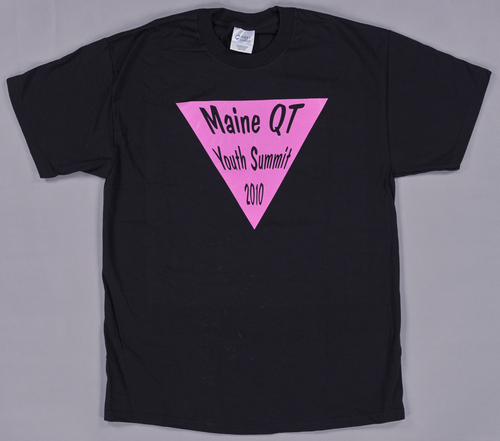 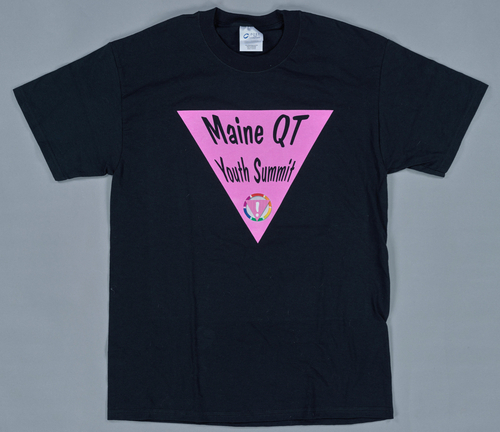 Front: "OUTRIGHT PORTLAND SOUTHERN MAINE ALLIANCE FOR GAY, LESBIAN, BISEXUAL, AND QUESTIONING YOUTH"
Back: "NO ASSUMPTIONS CONFIDENTIALITY RESPECT SAFETY HEALTH FEELINGS RELATIONSHIPS DIVERSITY PRIDE COMMUNITY FREEDOM"
Front: ""OUTRIGHT CREATING SAFE ENVIRONMENTS FOR GAY, LESBIAN, BISEXUAL, TRANS AND QUESTION YOUTH"
"Maine QT Youth Summit 2010"
"Out Youth Austin. 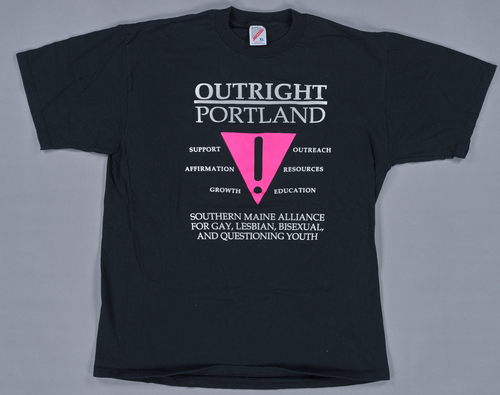 Stand Your Ground. 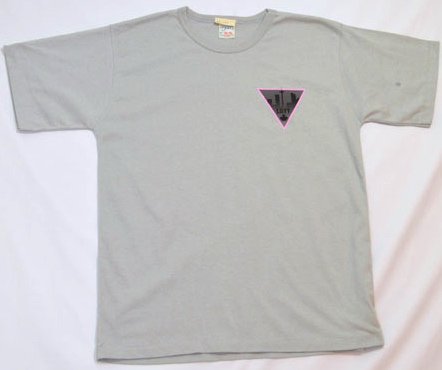 Alternative Prom '92-'93. 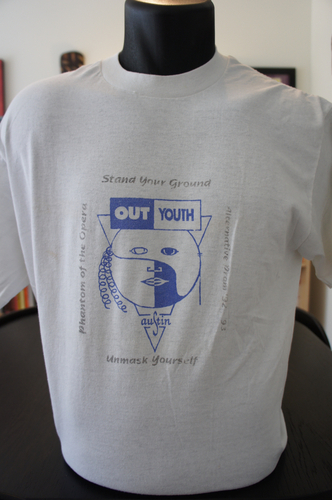 Unmask Yourself. 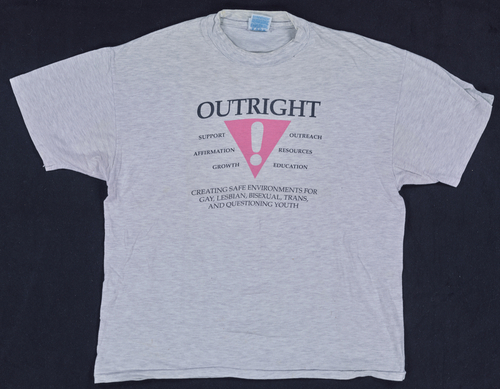 Phantom of the Opera"
Rainbow History Project Collection-- Washington, D.C.